With more than 25 years in the industry, Century Upholstery is a family-owned and operated business that has been serving the Atlanta community with high-quality upholstery and design services. We have worked with designers and clients all over the world and have the knowledge and experience to guarantee your satisfaction. Desmond Sandoval, owner of Westside Custom Upholstery, has been in business since 1987. Desmond grew up learning to master the art of quality craftsmanship in his parent's upholstery business and upholstered his first chair at the age of 12. 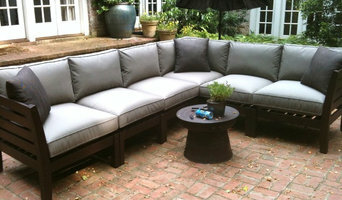 Today, his passion for the artistry used in producing the highest quality, custom furniture prevails. 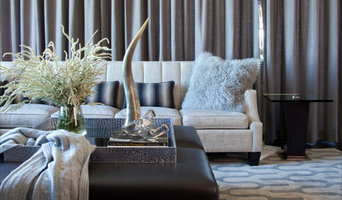 The Westside Custom Upholstery team delivers every project with artistry and integrity. Kurt's Magical Painting - Where Quality and Customer appreciation comes first! We are a full-service commercial and residential painting company that provides the highest quality professional painting services at the most competitive price. Serving all of Georgia, including Atlanta, Stockbridge and McDonough with Interior Painting, Exterior Painting, Fence Staining, Deck Staining, Fence Painting, Deck Painting and Garage Floor Epoxy services. Mood 6 focuses on Painting and Design creating the desired Mood a client longs for while occupying their space. We are able to satisfy our clients by eliminating what is often considered to be one of the most frustrating and overwhelming task for home and business owners alike when selecting color designs for their spaces. Mood 6 understands the language of what Color communicates. Color is a non-verbal, visual expression that can alter our mood- positively or negatively, it essentially tells the story of who we are! Choosing the perfect color scheme is the most important element to adding ambiance to any unique space! WELCOME! Norm Potter, Inc. specializes in the painting and repainting of private residences and commercial structures in Metro Atlanta and surrounding areas. Our seasoned staff of professionals have painted both commercial and residential projects for over 35 years. 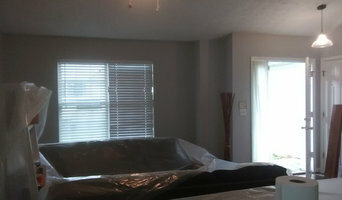 We understand that all aspects of painting require special care and attention to detail. All our staff members are committed to serve each and every customers' project with diligence, skill and a high level of professionalism. Our friendly, customer service oriented staff awaits the opportunity to serve you! My name is Floyd Crossman, and I'm an upholsterer. I learned upholstery in Miami Fl over 10 years ago, and at that point i didn't know i would love it as much I do. My mother introduced me to this profession as she has been a dressmaker/seamstress all my life; I value my work very much, because my first talent is art and I view upholstery as art, so I'm very precise. I am different because I take pride in my work and I do every piece as if it going in my house. I am very grateful for such a skill, and the quality of my craftsmanship will be revealed in my work. 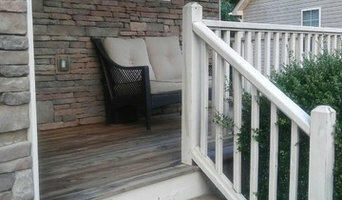 For over 10 years Stone Orchard Remodeling has been the premier restoration business in the Atlanta area. Specializing in interior painting and restoring hardwood flooring, as well as bathroom and kitchen remodels. You will be sure to enjoy the superior quality work and professionalism. Please call Ray for your free estimate today! For over 25 years, Douglass Workroom has served the design trade, providing the finest quality custom draperies, custom furniture and upholstery. Douglass Workroom is committed to excellence with no compromise, in every aspect of our business. We have enjoyed years long relationships with some of the most prestigious design firms in the business, with a very discriminating clientele. Let us know how we can help you. Here for any of your home repair or painting needs! Southern Trace Interiors, Inc. prides itself on being the go-to choice for clients looking for Window Treatments, Remodeling and Painting services. If you are looking for a high quality paint job and personal service, you've come to the right place. At Lance Buchanon Custom Painting, we'll give you the attention and personal service you'll come to expect and enjoy. We offer the best in interior/exterior painting, pressure cleaning, faux finishes, staining decks and concrete, drywall repair, wood replacement, and more. Lance Buchanon Custom Painting, has been "making Atlanta a more beautiful place in since 1977". Proudly serving Fayette, Coweta, and South Fulton areas. 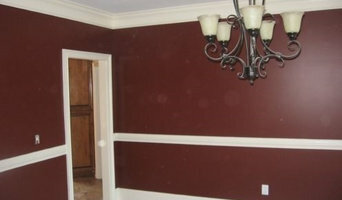 Fresh Look Contracting is a residential painting and home improvement company serving the North Atlanta metro area . We are fully insured and offer high-quality professional results, excellent customer service and satisfaction guaranteed.